This fully up-to-date book is designed specifically for candidates preparing for the Primary FRCA structured oral examination, incorporating the new exam structure and syllabus. Sample questions accurately reflect the examination, while model answers are systematically structured with definitions and classifications, and illustrated with essential diagrams and graphs. The books provide clear and concise explanations to key scientific concepts, and problem-based answers to clinical scenarios. This second part contains questions on pharmacology, critical incidents and special patient groups. 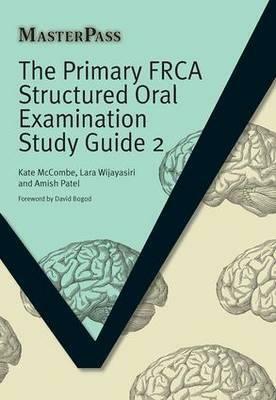 Packed with new guidelines, fundamental topics that are poorly covered in other main texts, and current hot topics, this book and its companion The Primary FRCA Structured Oral Examination Study Guide 1 are the definitive revision aid to the Primary FRCA, but will also be of value to candidates preparing for the basic science component of the Final FRCA, as reference source for qualified anaesthetists, and as a text for tutors preparing candidates for the structured oral examination (SOE). Part Two of the definitive Primary FRCA structured oral examination revision aid, with sample questions, model answers, and problem-based answers to clinical scenarios.